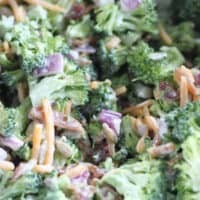 When you want a hearty broccoli salad recipe but you don’t want the sugar and carbs to go with it, then you’ll absolutely love this low-carb keto broccoli salad! When I think of holiday dinners and summer potlucks, broccoli salad always seems to be on our family table. Come to think of it, for two decades now I’ve been getting assigned broccoli salad for every occasion, I have this recipe down pat. A traditional broccoli salad recipe calls for lots of sugar, lemon juice, and sometimes sweetened cranberries or raisins. 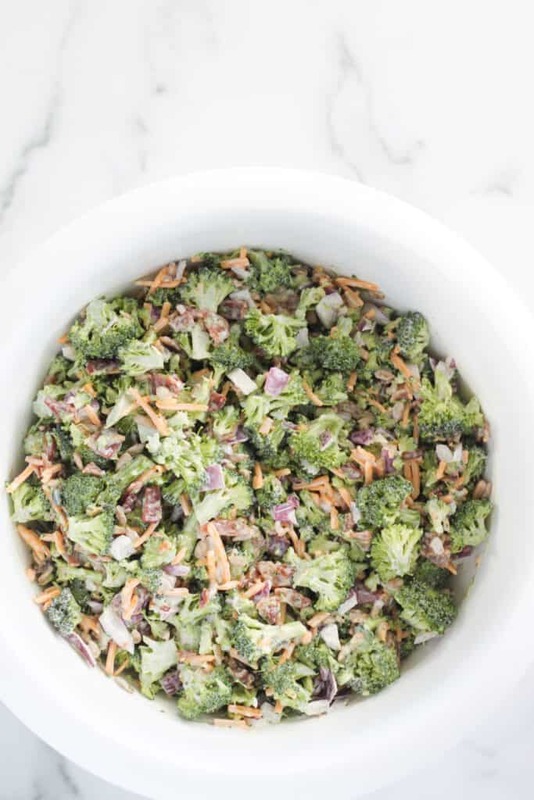 While maybe you thought you couldn’t still have broccoli salad on your health program, you’ll find that this keto broccoli salad tastes just like the yummy traditional version you’re used to. 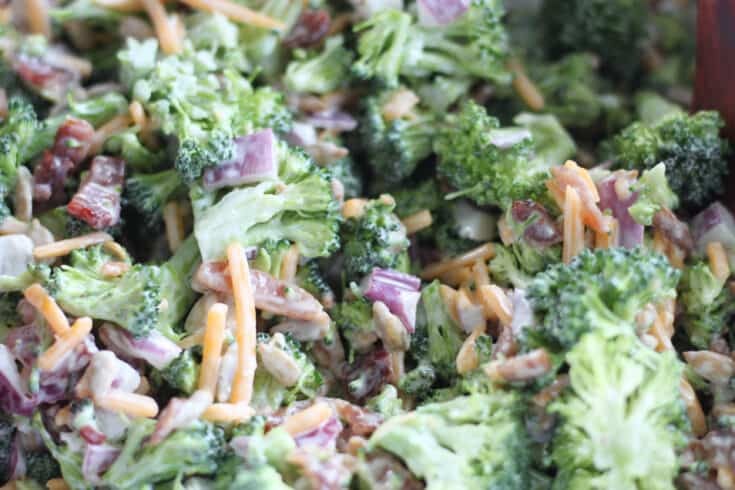 Although, my husband LOVED this low carb keto broccoli salad version BETTER than the original! 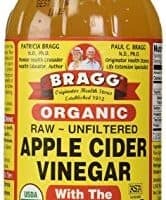 He thought that the apple cider vinegar added a nice kick to the salad that lemon juice doesn’t provide. To make this classic salad as low as carb and keto as possible, we substituted the lemon juice with apple cider vinegar, the sugar with Swerve and used salted sunflower seeds instead of sugary cranberries or raisins. What is so great about this keto broccoli salad is that it’s easy to swap ingredients if you want to change it up. Feel free to swap half of the broccoli for cauliflower, use ham instead of bacon, use almonds instead of sunflower seeds, or skip the seeds all together. 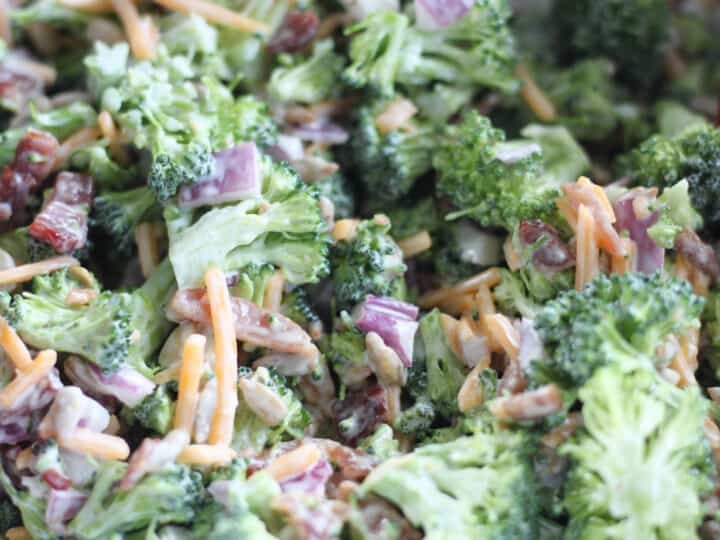 To make this delicious salad, you’ll want to start by making the broccoli salad dressing. 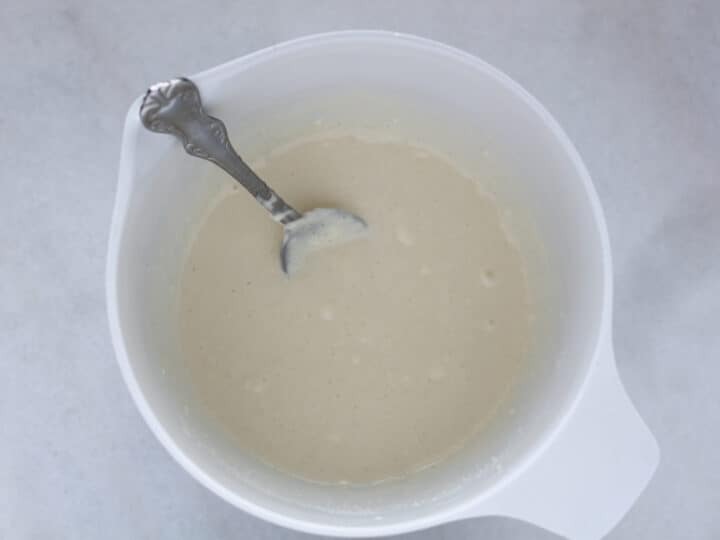 Mix the mayonnaise, apple cider vinegar and erythritrol in a small bowl and set aside. 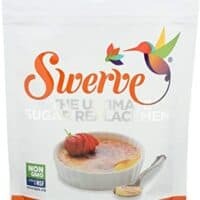 If you have another low carb and keto sweetener you prefer, by all means use it. Stevia would also work to sweeten this salad but you’ll want to add less of it. The recipe calls for 2 broccoli heads and you’ll want to cut off just the top. I don’t worry if I get little bits of stem pieces in the salad, but most of the broccoli should just be the head pieces. Using the remaining unused broccoli for broccoli rice is a perfect way to use up the rest of the broccoli. 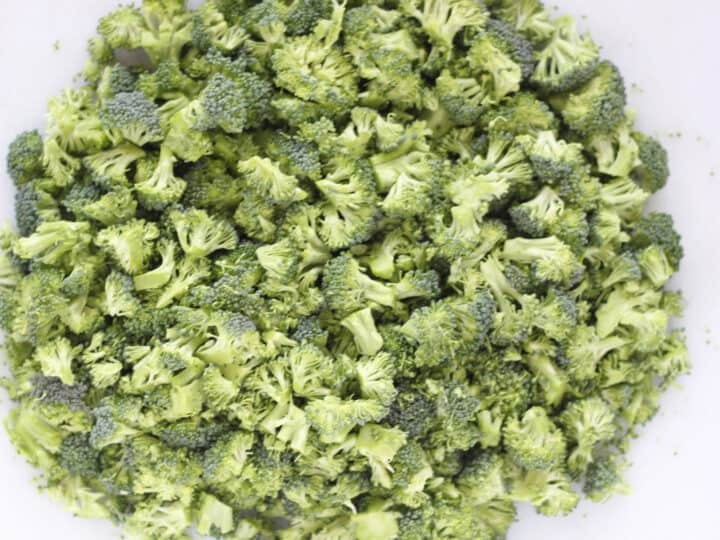 Chop the broccoli into very small pieces and put into a medium size bowl. 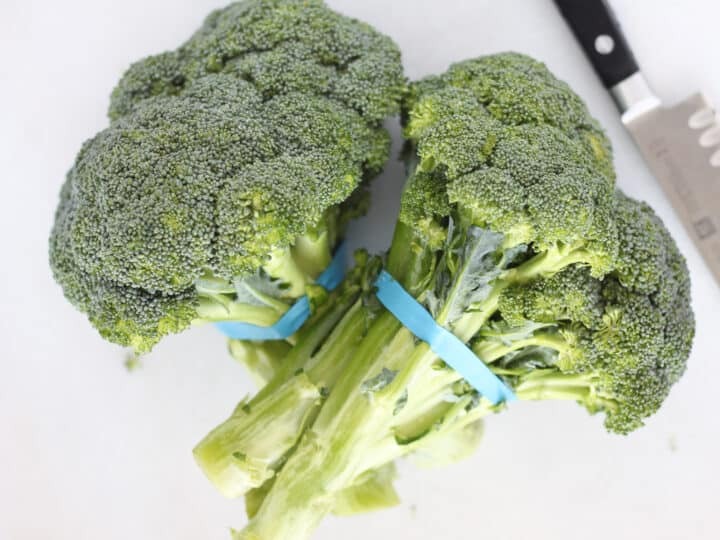 Here’s a visual on how small of pieces we cut the broccoli into. 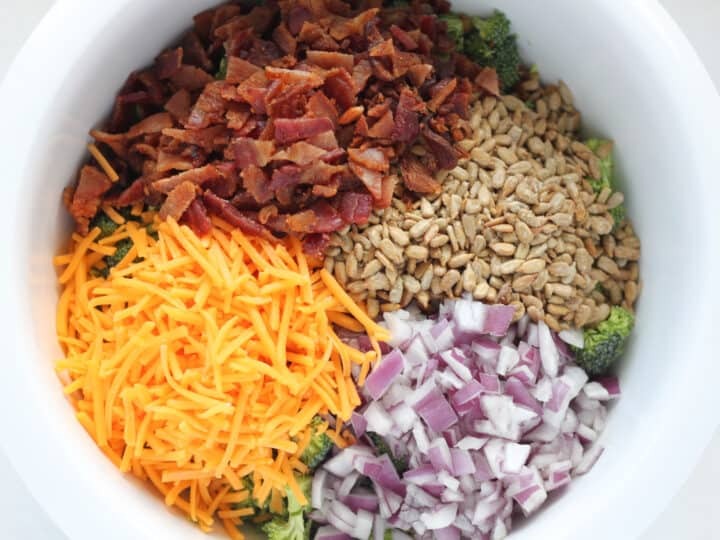 Add the chopped onion, shredded cheddar, chopped bacon, and sunflower seeds to a large bowl, along with the chopped broccoli pieces. Mix the vegetable mixture together. You could in theory add the broccoli salad dressing before mixing the vegetable mix together and just do this as one step. I personally like to combine the vegetables and other ingredients just to make sure it evenly combines. 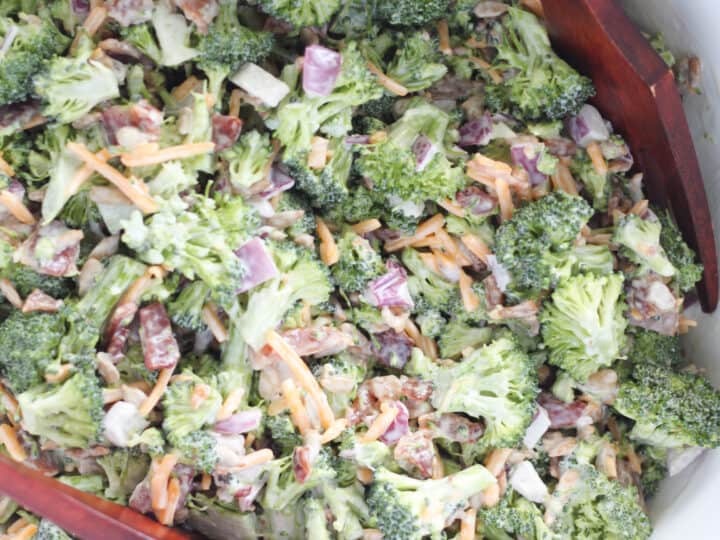 Add the broccoli salad dressing to the rest of the broccoli, cheese and bacon mixture and gently combine. Let sit in the fridge for at least one hour before serving so flavors can blend. This is one of those salad recipes that the longer you let it sit the better it tastes! I usually make this salad the morning of when I need it later that afternoon or evening. It’s perfectly fine to make the day before too! 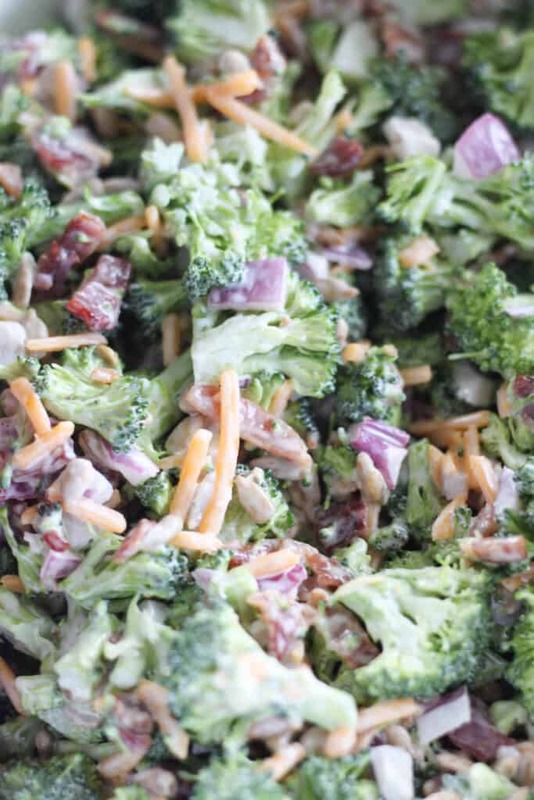 This fantastic keto broccoli salad makes the best broccoli salad recipe. It’s also a terrific option for lunch meal prep since the broccoli holds it’s shape and doesn’t get soggy like lettuce greens would. 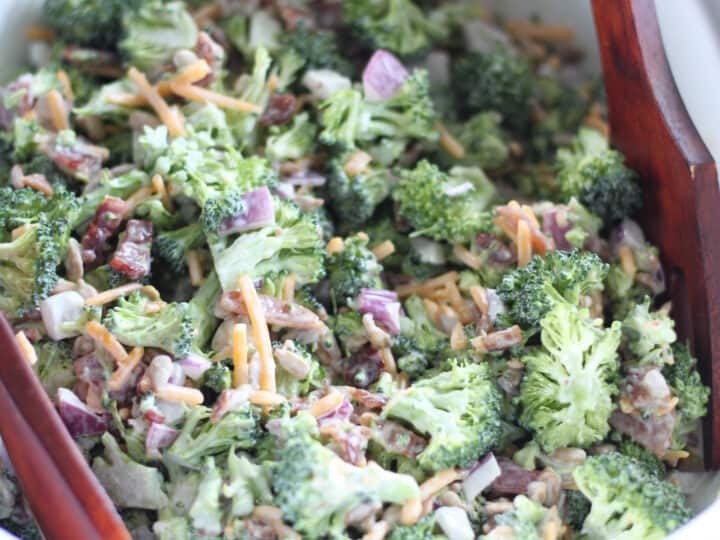 We’d love to hear how your low carb broccoli salad recipe turns out! 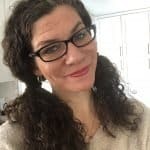 Post comments and feedback below or post your photos on the Pinterest pin. 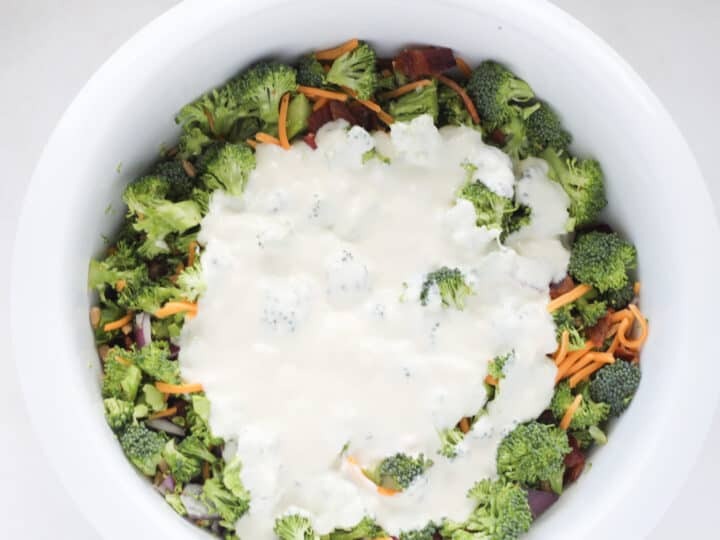 An easy and delicious low carb and keto broccoli salad recipe that includes bacon, sunflower seeds, and an amazing no sugar broccoli salad dressing. Perfect for holiday gatherings, potlucks and BBQ's! 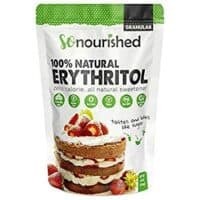 The nutritional information is an estimate and does not subtract erythritol from the net carb count. This recipe roughy has 3 net carbs per serving after subtracting the fiber and erythritol. 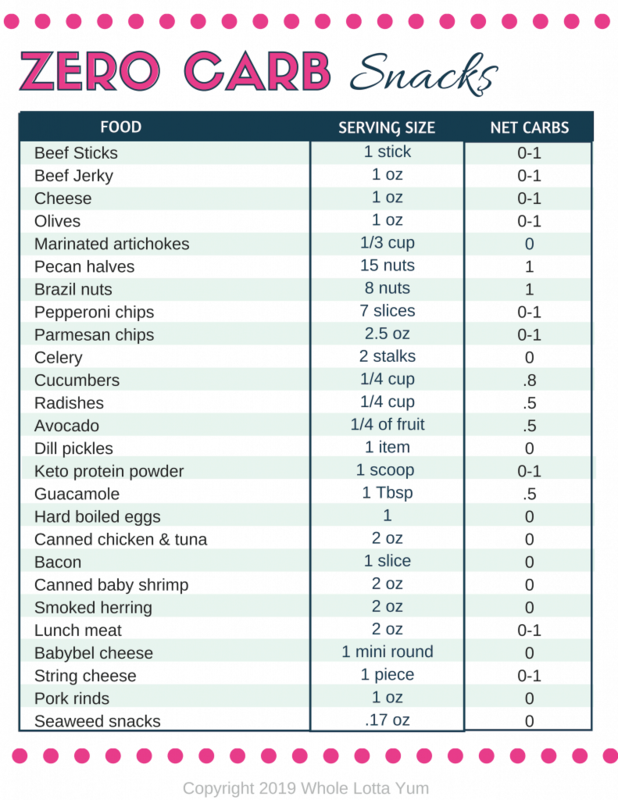 People following a keto diet subtract both of these from the carb count since they have zero impact on blood sugar. We highly recommend calculating the nutrition yourself also since all brands can vary.